What with the exceptionally good May weather and the World Cup, more beers are going down the hatch than normal for the time of year. However, this development has not only been positive for the big brewery concerns; there is a shortage of CO2 in many places in Europe and that might lead – horror of horrors – to a shortage of beer. Denmark’s Roligans can breathe easily for now at least. Carlsberg’s brewery in Fredericia is self-sufficient in CO2 and able to capture more during the brewing process. 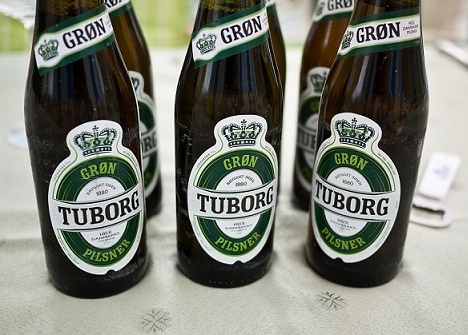 However, the European crisis has led Carlsberg to step up production, reports DR Nyheder. “We’ve had 100,000 tons of malt delivered during the weekend and we’ve been working flat out to brew more beer so that more CO2 can be produced in the fermentation tanks,” said Carlsberg’s press officer Kasper Elbjørn. The Fredericia brewery might end up having to share its precious gas with other breweries in the chain. “To ensure an adequate supply of beer in the long term, we’re at present investigating alternatives. We’re also prepared to share with the other Carlsberg breweries. We hope, of course, that the producers [of CO2] will soon have their production under control,” added Elbjørn. Pity the Brits, though. A longer-than-usual break in production at plants across Europe has left the UK relying on one big plant producing CO2, reports the Evening Standard. So maybe they will have to toast the next Harry Kane goal in real ale – with no carbonation added.